In prior posts (see here, here and here), I argued that Garrett Epps (and, to a lesser extent, Michael Abramowicz) had adopted an overly broad interpretation of the Public Debt Clause and that this interpretation, even if accepted, could not justify invalidating the debt limit. These errors are minor, however, compared to Epps’s proposal that the President enforce the Public Debt Clause by declaring the debt limit unconstitutional and ordering the Treasury Secretary to borrow money without congressional authorization. At first blush, this sounds very much like the theories advanced by John Yoo and other advocates of executive power. A statute which unconstitutionally constrains executive power is void and therefore can be ignored. Epps himself makes this analogy, arguing: “during the weeks after September 11, [Yoo] breezily wrote that ‘the constitutional structure requires that any ambiguities in the allocation of a power that is executive in nature- such as the power to conduct military hostilities- must be resolved in favor of the executive branch. '” Epps contends that the same rationale should apply to the debt limit: “Surely the power to safeguard the national credit is ‘executive in nature,’ too. It is commanded by the Constitution, and it concerns the national interest as fully as does military action.” Thus, Yoo’s logic should equally support a President’s decision to ignore the debt limit (“sauce for the Bush goose, an administration lawyer might argue, should be sauce for the Obama gander.”). But Epps’s theory goes well beyond anything that Yoo has argued. Yoo contends that a statute which conflicts with presidential powers, particularly in the national security, may be invalid. But even under Epps’s reading, the Public Debt Clause does not give the President any power. It merely imposes a constitutional duty, which the President is obligated to fulfill as a consequence of his oath to uphold the Constitution. However, the President’s duty to safeguard the national debt no more enables him to assume Congress’s power of the purse than it would enable him to assume the judicial power when (in his opinion) the Supreme Court acts in an unconstitutional manner. Moreover, even in the national security area, where the President unquestionably has wide-ranging powers, it is recognized that he must rely on Congress for funding. Even the most die-hard proponents of executive power do not question this as a general matter. See, e.g., John Yoo, Crisis and Command 196-97 (2009) (explaining how Congress used its power of the purse to curtail President Polk’s maximalist demands during the Mexican-American War, thereby “demonstrat[ing] the checks that Congress always has available against the executive, even at the height of his wartime powers.”); id. 342 (noting that President’s national security powers do not give him authority over the funding of the military) . 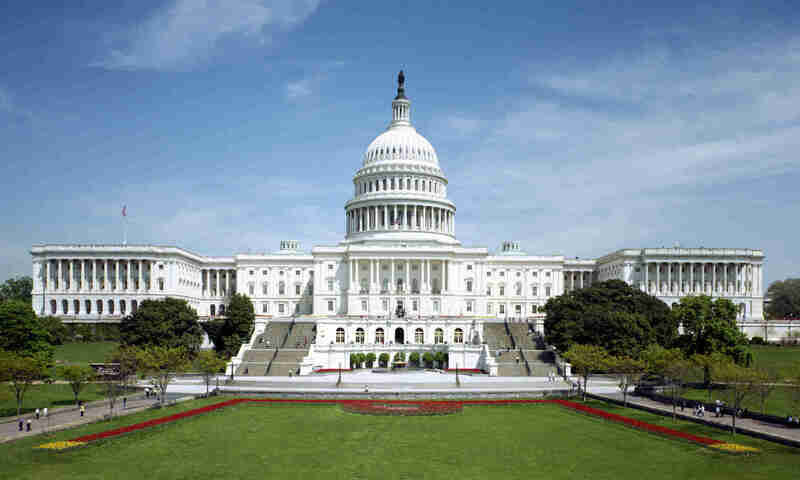 Indeed, many observers believe that the power of the purse is the only effective check, short of impeachment, that Congress still has to rein in the executive branch. Sounds a lot like the current situation, does it not? Yet for some reason Epps is no longer concerned about the prospect of a runaway presidency, To the contrary, he is actively promoting a runaway presidency by encouraging the President to assert a power that no president before has ever claimed, the power to borrow money on the credit of the United States. To be fair to Epps, he seems to have some qualms about his debt limit proposal, allowing that he would prefer that Obama not have to seize this constitutional power. Yet ideas like this can take on a life of their own. Better to quash them now before some lunatic starts claiming that it is treason to “question” the public debt. Oops, too late.